Interviews have evolved. No longer do people go through one or two face-to-face interviews before landing a job. The interview process has become more complex, with variations of interview options and multiple people involved in the process. With that in mind, it’s not impossible for candidate information and responses to get lost in translation. Could interviewers create issues by filling in the blanks while writing up their interview notes? Recently, I’ve been thrown back into the trenches of recruiting. Although my current job deals with strategy, it’s amazing to see how much recruiting has progressed since the time I’ve been directly involved in it and it’s great to remember all the little things that go into the recruiting and interviewing process, from sourcing, to outreach, interviewing and submittals. In the current project I’m involved in, we’re even utilizing the live video interviewing technology. And as always, HR compliance is definitely stressed through this process. As I’ve been going through the interviews and getting back into the swing of things, I recall the importance of keeping interviews conversational. Rather than interrogative, it’s important to cover the questions on the interview screener and even more important to ask follow up questions throughout the process. But why are follow up questions important? As the candidate is moved throughout the process, many people will come in contact with them. From recruiters, hiring managers, department heads, and so on, many people will be interviewing them on different things. And, as such, many people will rely on the previous interviewer’s notes to get a background story prior to interviewing them. Certain questions need to be documented and a detailed synopsis should be written up and passed on to the next interviewer. But what happens if responses get misconstrued? Communication is fascinating and many different people can perceive the same information in different ways. Additionally, people’s minds can connected points A to B with little information. But, how things are understood (or misunderstood) and people’s ability to fill in the blanks can affect the end result of what the candidate really meant. This can skew information and potentially disqualify a candidate from progressing when they were actually a great fit. So recruiters, don’t be afraid to ask follow up questions. Don’t even be afraid to touch base with a candidate after an interview for further clarification. It’s better to cover your bases than miss out on a great hire. Over the years, I’ve seen the interview process transform into something proactive, innovative and sometimes creative. Within the last year, I had the pleasure of utilizing video for candidate interviews. Being a virtual recruiter who recruited people outside of the immediate area, I was eager to see how this could change the initial stages of the screening process. Needless to say, I really found the value in these options. 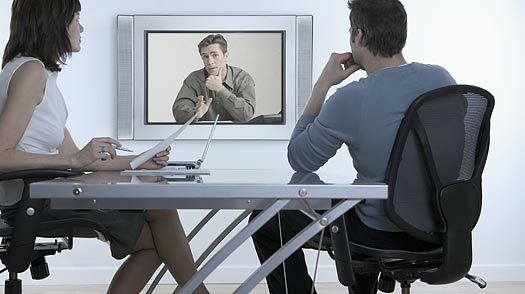 Check out my most recent post on WilsonHCG’s blog and learn more about the benefits of video interviewing. Click here. Oh, interviews. The bane of many job seeker’s existence. The thing that causes stress, anxiety, and frustration. The part of the job hunt that we try to prepare the hardest for and yet it sometimes doesn’t seem to be enough. The one thing that has us beating our brains, trying to figure out where we went wrong if we end up not landing the job. After being a job seeker and then a recruiter, I can safely say there is no magic formula to help you be an expert interviewer. However, regardless of how strong of an interviewee you are, there are still plenty of ways for you to properly prepare yourself to make you feel confident in your abilities. After being rejected several times when I was a job seeker and then working on the other side of the interview table, I soon found ways that have helped me and the candidates I’ve coached be more successful during this portion of their job search. Review the job description and company details in depth: look over the job description and get a feel for the types of skills they seem to be looking for. Really absorb the verbiage they use when describing their expectations. Once you feel you have a clear understanding of this, make sure to check out their career site and company details. Take the time to understand their company culture, their mission statement, and even try to find employee testimonials to gain some insight of what it would be like to work there. Having these details will set you up nicely for the next step. Take stock of you own skills: more often than not, candidates end up talking themselves out of a job. Either they say too much or they say too little. It’s important to find that middle ground that allows you to provide the information you intended to without causing the interviewer’s eyes to glaze over. Compare your experience against the job description. Can you sum up your experience and skills in a couple solid sentences that seems to hit the key things they’re looking for? Make it easier for the interviewer to see your transferable skills by finding ways to express your experience clearly, concisely, and in a way that will closely match their job description. Write it down: many times, the first interview is an introductory phone screen. It will be very beneficial for you to write down the skills you assessed in the step above to ensure you have all the details readily available. Additionally, write down examples of how you used these skills on the job. Aside from general questions about your experience, recruiters will also ask you situational or behavioral questions that help them assess your level of experience in the skills they’re requiring. Having these examples written down already will allow you to get straight to the point without getting stumped or providing unnecessary details. It can also allow you to reduce your nerves when you’re racking your brain for an example without causing too much of an awkward pause. Use your network: there are many people out there that you can connect with that have either worked in a similar job, a similar company, or actually worked/works at the company you’re interviewing at. Take the time to talk to them about their interview experience. There may be a chance that certain interview questions stuck out in their mind. Knowing these questions beforehand can help you be one step ahead. If you don’t feel comfortable connecting with people you don’t know, do a general search for interview questions relevant for the job you’re going for. They may not be the exact questions, but they could give you a good feel of what you may be asked throughout the interview process. Use your resources: the internet is a wonderful tool. Candidates have the ability to research the company in depth. PR pieces, forums, and blogs can help job seekers get a sense of what’s happening in the company or get an idea of what others are saying about the company. Websites like Glassdoor provide detailed reviews in regard to employees’ overall feelings about working for the company. Some interviewees also give details about their interview experience, things to look out for, questions they were asked, and provide general advice. Not only will reviewing these details help you with your interview, but it can also help you formulate impressive questions for the recruiter. Show that you did your homework: recruiters are often impressed by candidates that have done their homework. They’re even more impressed by the candidates that seemed to go above and beyond and looked deeper than just what is on the company website. In that same regard, they also enjoy well-thought out questions that are a step above the general ones that they’re typically asked. Did you see something on a blog that interested you? Ask them more about it. Was there an employee review that sparked up something that concerned you? Try to get clarification on the situation. These are the types of things that help the interviewer feel like you genuinely care about the company you’re recruiting for. Follow up: doing well in your interview isn’t the last step of having a good interview. It’s also about what you do AFTER the interview. If you have a LinkedIn account, be sure to connect with the individuals you spoke with. If you have the email or phone number of those individuals, be sure to send a follow up message to thank them and reiterate your continued interest in this position. This can help them feel that you are serious about this job. Interviewing is definitely a tough thing to master and although I wish I had a way to assure you that this will help you land a job 100% of the time, I can’t. The important thing is to use this as a guide to help you build the confidence and skills you need to do better during your interviews. But above all else, the best thing you can do is learn to be adaptable. If something you tried during an interview didn’t work out as you had hoped, take the time to evaluate what went wrong and find a way to tweak your tactic so you have better luck next time. Eventually, all your hard work will pay off. Over the weekend, a friend of mine reached out to me because she was seeking some advice on how to properly prepare for the interview process. She had been out of the job seeking world for a few years now so the current concept of interview loops seemed foreign to her. Even though I studied human resources, talent acquisition, and have been in the field for a few years, I also struggled with this when I was searching for work a year ago. I thought I would have had the knowledge to beat the odds but I soon realized that whatever plan I had initially used during interviews was severely flawed. I began to feel like being a job seeker was like walking into a battlefield with the awareness that everyone is betting against you. It’s tough and winging it these days isn’t going to cut it. Compare your skills/experience to the job description: the recruiter is trying to find out how much of a fit you are for the job role. Look at the job description requirements and duties and briefly write down your own experiences in a way that flows nicely against the description. Many people get caught up in unnecessary details or verbiage when the recruiter asks them about their experience. This can help you get straight to the point and make it easy for them to see that your skills will transfer well to this role. Write down examples: a lot of the time, recruiters will ask you behavioral questions relevant to the job. This is a way to see how you would potentially handle realistic situations that may happen in the day-to-day. Having solid examples, details about the actions you took, and the result will be a great way to show the recruiter that you can handle any curveballs thrown at you. Be ready for the tough questions: of course, you may not have been able to handle every curveball gracefully throughout your career. If a recruiter asks you about a time that you failed or about a weakness, make sure you have an example. More importantly, make sure you show them what you learned from this experience. Don’t forget your accomplishments: there are times where you may have gone above and beyond in your company or you may have even accomplished things outside of your job scope. Sometimes, candidates mix this in when they’re explaining their work experience and this can throw off the recruiter. Having these examples separate can make sure the recruiter will see that you have relevant experience but also that you have the initiative and drive to do more when you have the bandwidth. Have 2-5 great questions: recruiters love it when candidates ask solid questions. However, make sure you have thoughtful questions. Nothing is more irritating than getting asked a question that could have been easily answered if you read the job description. To really wow the recruiter, do some digging and take the time to research. Go beyond their company website and even look into news about them, their blog, or press releases. Keep it organized: having notes is great but make sure you keep it organized. This can allow you to refer to them quickly so you don’t miss a beat in your response. I loved having notes. Honestly, I’m not all that great thinking on my toes. If I’m taken off-guard, I’ll end up talking in circles. If I take the time to think it through, my nerves of taking too long to answer will force me to respond before I can even think of a good reply. I’ve heard this happening to plenty of people, which is why I strongly suggest taking the time to have these notes prepared. Having this ready may even help reduce some of your stress and interviewing jitters which can allow you to display confidence.